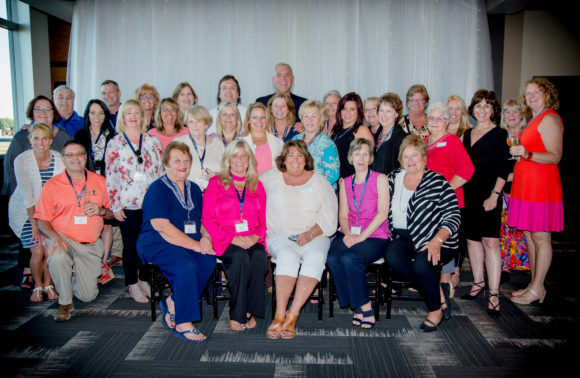 Cruise & Travel Experts had nearly 20 members and staff in attendance at the 2017 annual Ensemble Travel Group convention recently in Dallas, Texas. There were approximately 900 members, suppliers and guests in attendance at this year’s convention with a theme of “Think Big. Think Best. Think Ensemble.” Ensemble covered four of their most recent initiatives: the Ensemble Extranet, Aviate (airline booking tool), Navigate (booking platform), and Marketing. The convention provided ample learning experiences from industry experts and Ensemble’s preferred suppliers, and offered several networking opportunities to meet other Ensemble members from across the country. The final night our team got to attend a private dinner at the AT&T Stadium (home of the Dallas Cowboys) and explore the stadium including locker rooms and all. Learn more about Cruise & Travel Experts Program for Home-Based Members and find out what’s included with your membership. Join us next year at the 2018 Ensemble Convention in Nassau, Bahamas from Oct. 23-27, 2018.